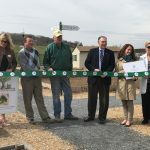 Penn State Health leaders joined Hershey Entertainment & Resorts and other Hershey organizations to celebrate the grand opening of Phase II of the Hershey Community Garden. 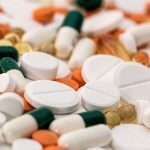 A drive-through prescription drug take-back event will take place on Saturday, April 28 on the campus of Penn State Health Milton S. Hershey Medical Center. Guests to the Hershey Bears game against Bridgeport on Nov. 26 not only got to see a great game but also got to see a Bear with quite the mustache presented with a trophy. The 11th annual People&apos;s Pay 4 Play on WQXA-FM 105.7 The X on Nov. 9 and 10 raised a record-breaking $241,363.30 for Children&apos;s Miracle Network at Penn State Children&apos;s Hospital. 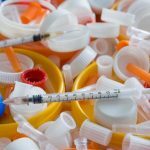 Penn State Health Milton S. Hershey Medical Center will host a community Drive-Thru Prescription Drug Take Back event on Saturday, Oct. 28. 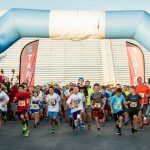 The Conquer Run, a competitive 5K run and fun walk through Hersheypark, raised more than $132,285 for Four Diamonds at Penn State Children&apos;s Hospital and the fight against childhood cancer. For the past year, the Department of Family and Community Medicine has implemented a version of a program called Reach Out and Read with great success. In the program, medical providers hand out free books at well-child appointments, which opens the door to discuss the importance of literacy with moms and dads. 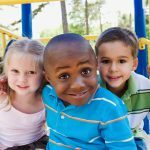 Reading to a child aids in brain development, social interactions and emotional health, according to the American Academy of Pediatrics. 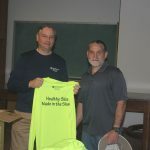 The gift was the latest of several the Department of Dermatology has made in recent years to help with sun protection efforts across central Pennsylvania. 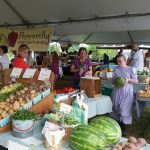 The Farmers Market in Hershey and Summer Concert Series begins its eighth season from 2:30 to 6:30 p.m. on Thursday, May 18 with a community arts fest. You&apos;ve probably heard of the Ronald McDonald House of Hershey — located across the street from Penn State Children&apos;s Hospital. 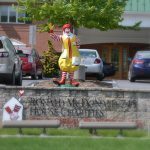 We get answers to your questions about Ronald McDonald House from Karla Mitchell, Ronald McDonald House Charities Executive Director, and Amy Leonard, Ronald McDonald House Charities Development Manager.